team to help answer any questions you may have about the magazine itself and the projects we carry. We've compiled a list of the most frequently asked questions and hope you will find an answer to your query here. If, after looking at these pages, you are still having difficulties finding an answer to your question then please contact us, we are always happy to help. You can send a question to: contact@tailormadepublishing.co.uk and we will endeavour to respond as quickly as possible. Please include an email address and telephone number in the body of your email to ensure you receive a response. 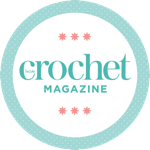 Inside Crochet is looking for all types of crocheted projects, spanning all seasons–garments, accessories, home, men, babies and children with heavy emphasis on women’s garments. We need feature proposals that explore history, technique, fibre production, and designers from around the world. We like to emphasize natural fibre, sustainably sourced materials and independent businesses as much as possible. A full copy of our submission guidelines can be downloaded here. If you'd like to sign up to our contributor mailing list for our seasonal call-outs, please fill in the form below. Inside Crochet have a large range of bespoke advertising opportunities available, with packages to suit every budget. From digital based website, newsletter and social media advertising through to editorial-style advertorial and traditional advertising, we offer a range of powerful ways to highlight and demonstrate your products and services to our audience. Our friendly and experienced editorial and creative team looks forward to working with you to produce a stylish and highly effective way to showcase your products.